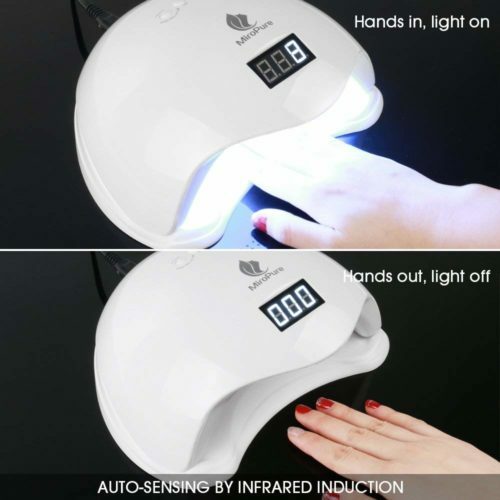 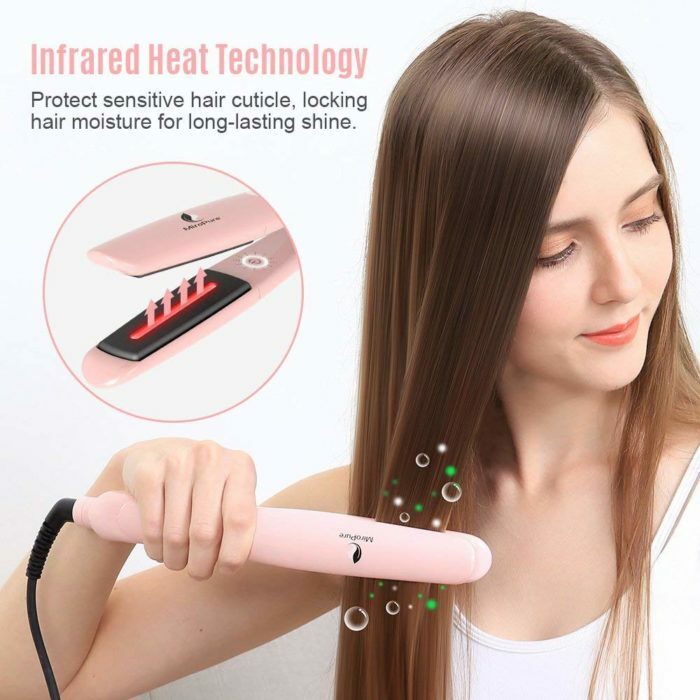 【PROFESSIONAL INFRARED RAY HEATING TECHNOLOGY】: Infrared rays lock in your hair’s natural moisture and gives your hair a smooth, silky, natural lustrous look by sealing the hair cuticles. 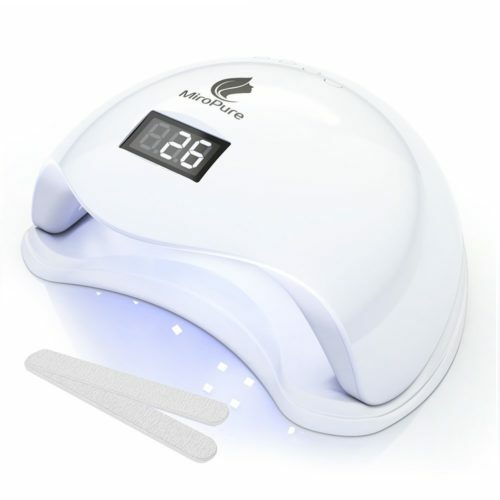 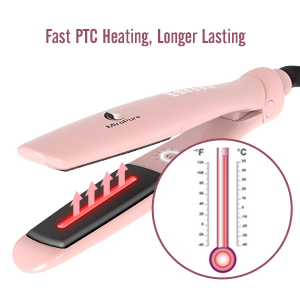 Infrared waves reach deep into your hair strand while simultaneously protecting the sensitive cuticle and preventing excessive heat exposure damage. 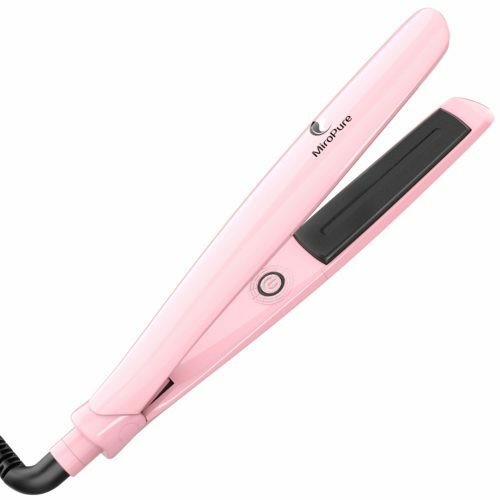 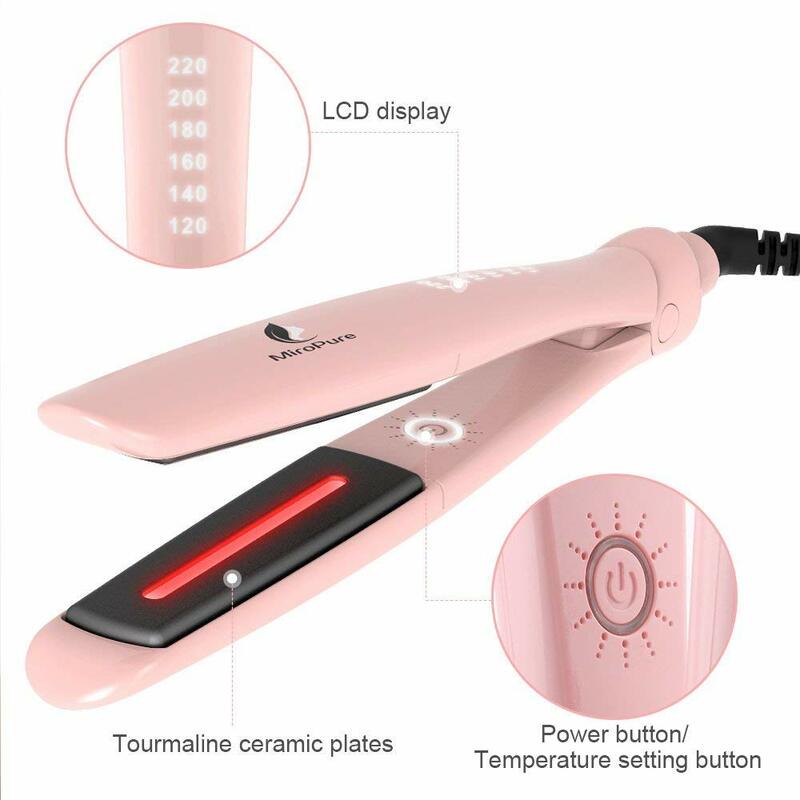 【FLAT-IRON YOUR HAIR INTO BEAUTIFUL DIFFERENT STYLES 】: Use with fine to coarse hair to straighten, flip and curl you hair. 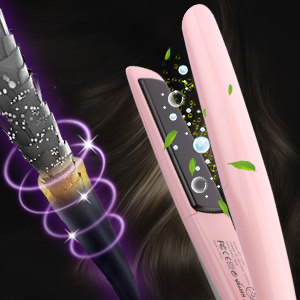 Be your own stylist with MiroPure hair straightening irons. 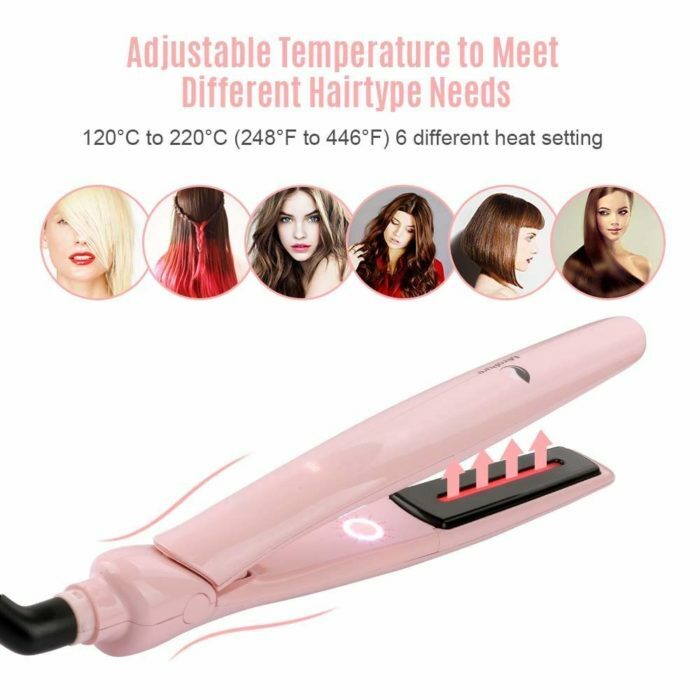 【6 DIFFERENT HEAT SETTINGS 】: The adjustable temperature meets different hair type needs, so much so that the MiroPure Hair Straightener has been described as your secret weapon in the quest for dream hair. 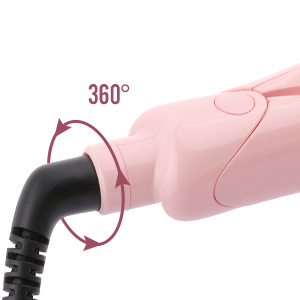 Your MiroPure flat iron can be adjusted to 6 different settings from 120°C to 220°C (248°F to 446°F). 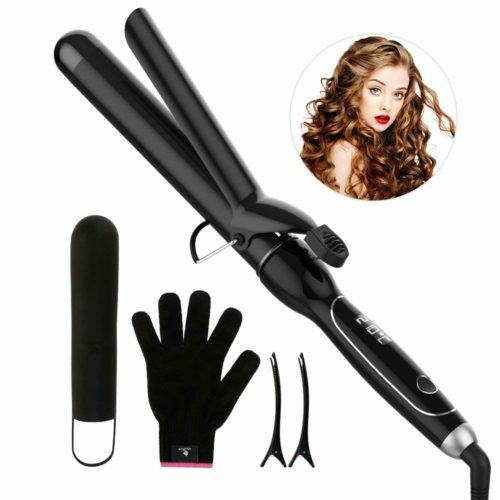 It’s suitable for all hair types; thin, fine, bleached, wavy or curled. 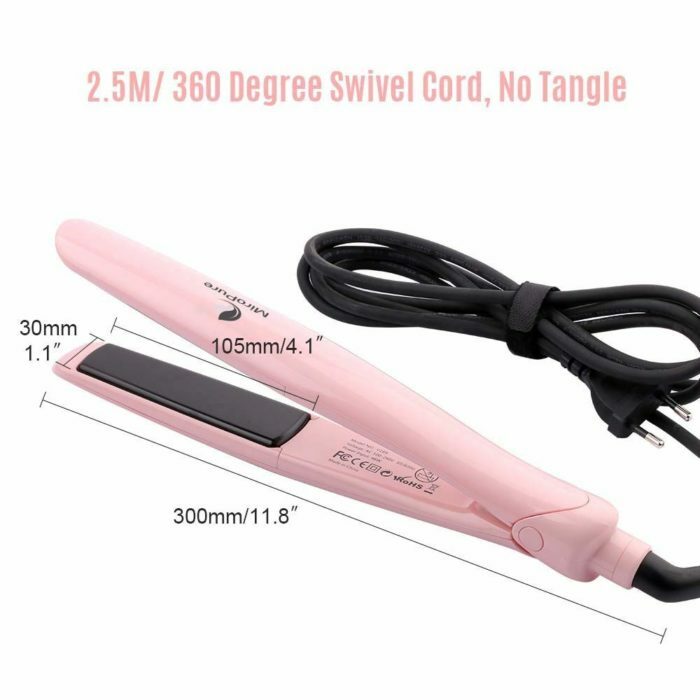 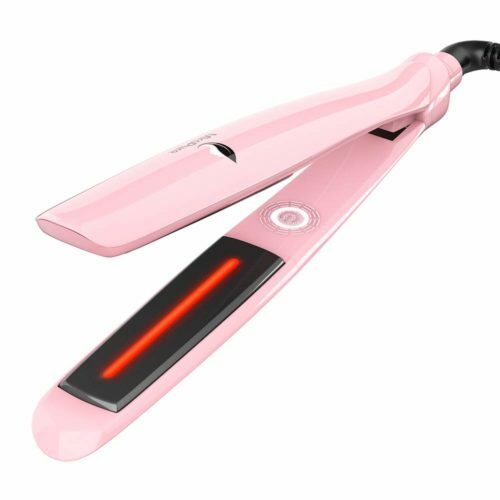 【EASY-TO-USE】: The ergonomic, nonslip grip design handle and 360° no-tangle 2.5m swivel cord (40% longer than similar devices) make this hair straightener one of the easiest to use. 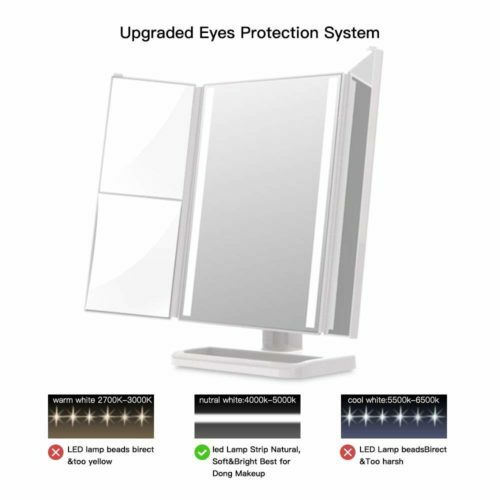 Being universal dual voltage 110-240V, it will automatically adjust to the proper voltage when used with a compatible adapter. 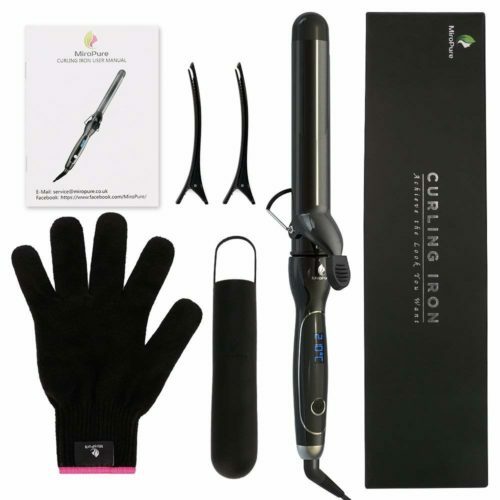 This flat iron kit includes a cloth bag, heat resistant glove and hair comb. 【SAFE OPERATION】: Your safety is our top priority and this hair curler comes with a 60-minute auto shut-off and heat resistant glove for safe operation. 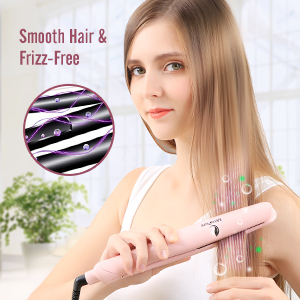 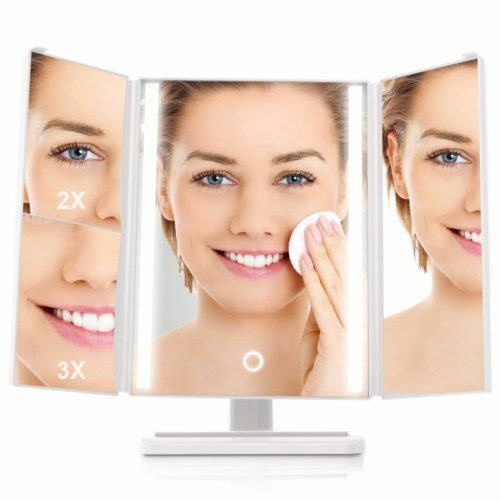 Are you ready to make your hair smooth, shiny and heath in a simple and easy way? 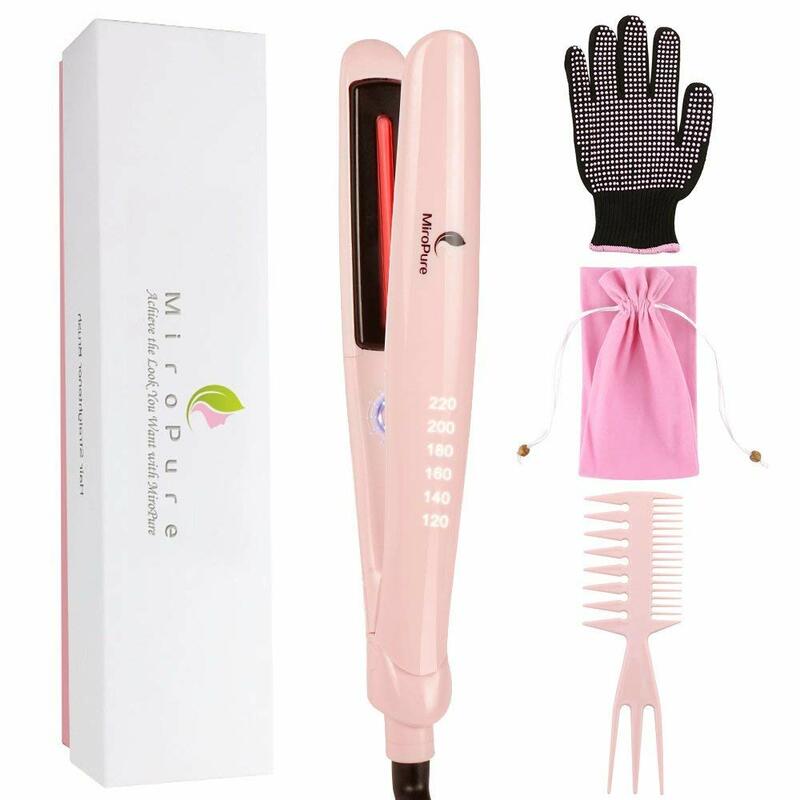 Tame your unruly hair with MiroPure hair straightener, which will gives you quick, silky smooth and professional looking straight hair in just a few minutes. 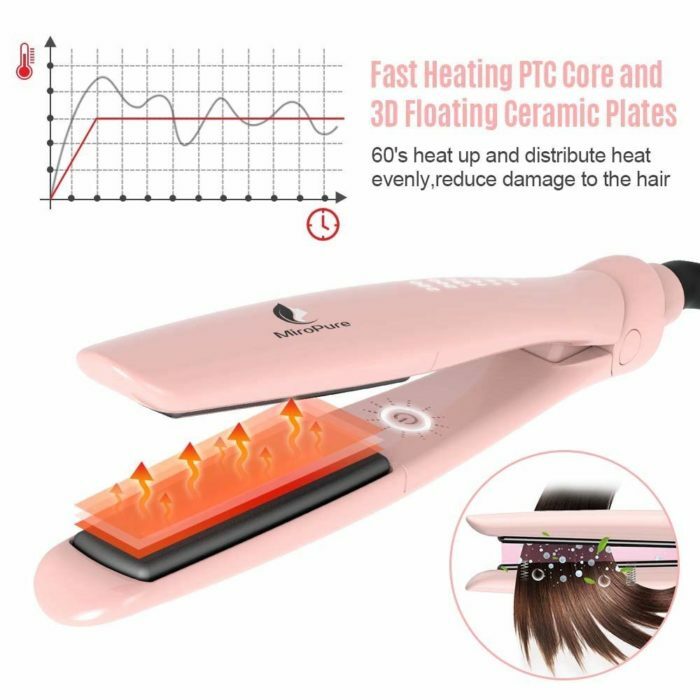 Professional Infrared Ray Heating Technology:: Straighten Hair, Eliminate frizz, Add Shine.Infrared rays lock in your hair’s natural moisture and gives your hair a smooth, silky, natural lustrous look by sealing the hair cuticles. 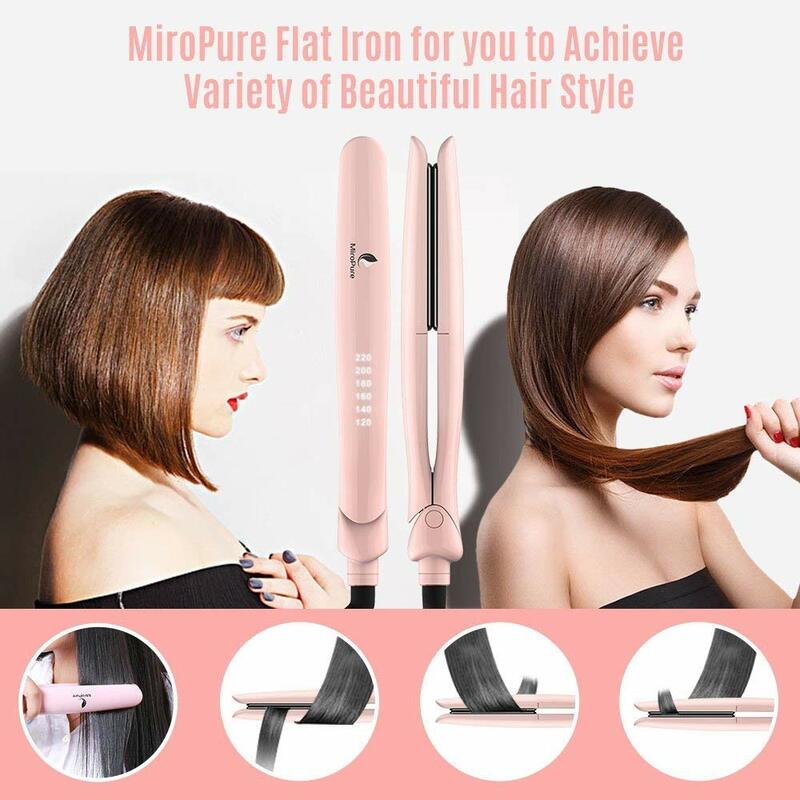 MiroPure Flat Iron, Your Professional Stylist. 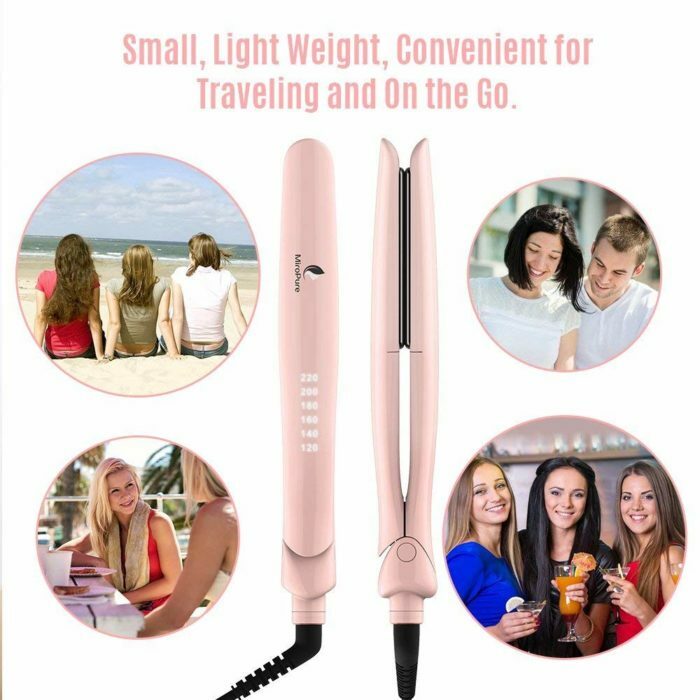 360°swivel cord, prevents tangling and gives you more convenience to style your hair from any angle.60-minutes auto shutoff gives you added peace of mind with every use. 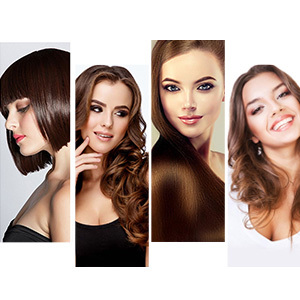 Answer: Yes, of course it can work on african american hair.